LOCATION!!! LOCATION!!!.. RARELY FIND A HOME IN THIS DEVELOPMENT... EASY ACCESS TO I95 AND RONALD REGAN TURNPIKE. 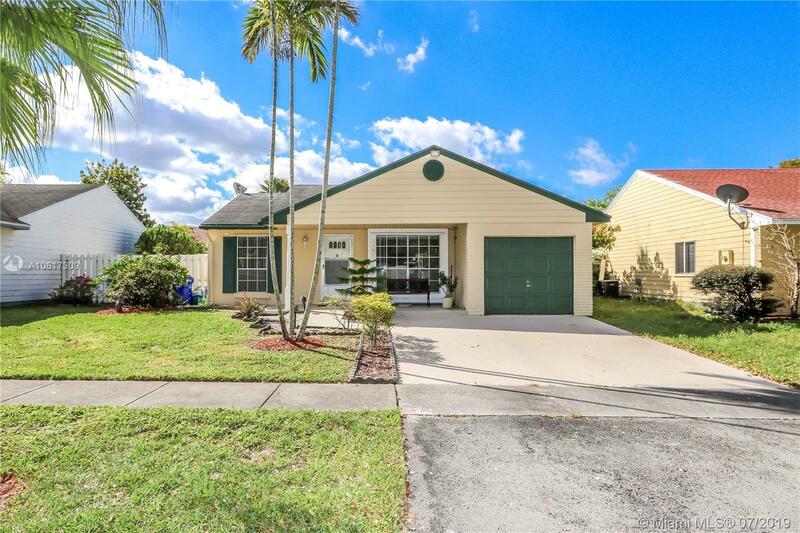 CLOSE TO PEMBROKE PINES MALL. SHOPPING CENTERS, WALMART SUPER CENTER. SAM'S CLUB. ENJOY CINNAMON PLACE PARK INSIDE THE COMMUNITY: PLAYGROUND, GRILL PLACES, BICYCLE PATHS. CAN BE YOUR FIRST HOME. VERY WELL MAINTENANCE. ORIGINAL CONDITIONS. BEAUTIFUL FENCED OPEN GARDEN. TWO BEDROOMS, TWO BATHROOMS. CERAMIC FLOOR THROUGHOUT THE HOUSE. DINNING KITCHEN. FLORIDA ROOM. 5 YEARS A/C UNIT. Directions: From Douglas Rd North Make Left To Pembroke Rd Going East Until You Find The Community In Your Left.